The strength of surf lifesaving on Sydney’s Northern Beaches was reiterated in stunning fashion on Saturday night at the 2018 Awards of Excellence with local club members picking up awards in the sport, lifesaving, and education categories. With surf sports being first up, there were plenty of cheers with the Freshwater Open Female R&R (Sport Team of the Year) and Manly’s Kendrick Louis (Athlete of the Year) taking out their respective divisions. The Freshwater team conquered their personal Everest this season when they became the first team in the proud club’s history to win the Australian title. For the team of Claire and Jayne Freakley, Lysa and Rebecca Kiely, Elizabeth Murphy and their coach Christopher Tyrell it was a vindication of another outstanding season during which they also medalled at Branch and State level. Kendrick Louis was recognised for a stellar campaign at Branch, State, and National level winning medals both individually and as part of the powerful Manly Taplin team. His crowning achievement however came on the white sand of Scarborough Beach, where in the same place that he won a junior ironman title a decade ago, he became the Australian Ironman Champion; the first man in his club’s history to do so. South Curl Curl’s Mike Le Geyt was crowned the state’s top facilitator after his extensive work at Branch level this season. He has been innovative in the way he interacts with trainers and assessors in building a Mentoring App using “TeamApp” as well as being instrumental in the task of writing, reviewing, implementing and trialling the Branch Central Venue Guidelines for surf awards. With three new awards presented for the first time on the evening it was fitting that Tracey Hare-Boyd (North Steyne) was crowned the inaugural Patrol Captain of the Year. Tracey has been an extremely dedicated surf lifesaver and completed more than 80 hours of active patrol this season, but it is her work in breaking down the barriers between younger and experienced members of her team that will prove the most beneficial. Nigel Penn (Bilgola) was awarded the President’s Medal for 20 years of dedicated service. The current club vice president is also an experienced and passionate IRB official and recently served as Deputy Referee at the Australian IRB Titles. “I see this award as for all my colleagues and for those who patrol the beaches. I absolutely love what I do, it’s why I do it. It’s about the passion, it’s about the community, and it’s about looking after the public,” said Penn. 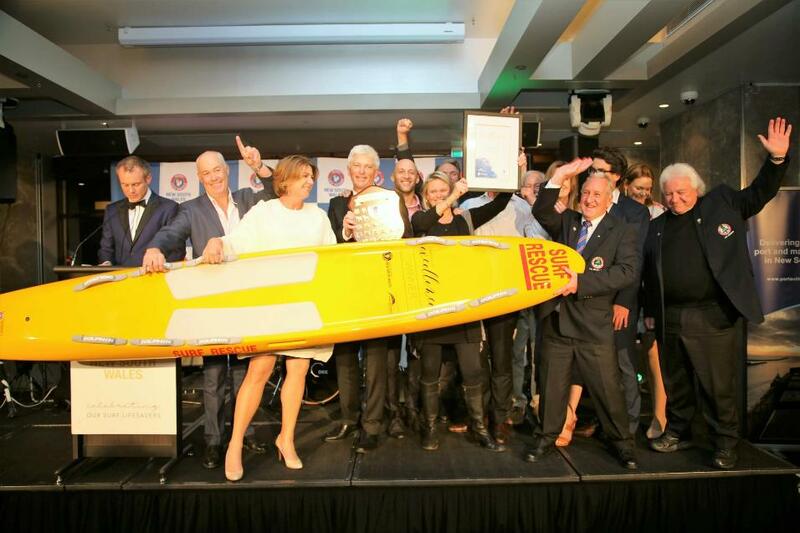 Rounding off a successful evening was the naming of Avalon Beach SLSC as the state’s top club. “It’s amazing and totally unexpected honour to be recognised with the Club of the Year Award,” said the outgoing President Richard Cole. “We’ve got an incredible board of management but what really makes a difference is our people who contribute across all areas of our club,” he said. Some of their highlights from the 2017/18 season include the greatest number of active members, youth members, and new Bronze Medallion holders in Avalon Beach history, a near record-breaking year in revenue, and an extremely successful surf sport season. The 2018 SLSNSW Awards of Excellence are proudly supported by Port Authority of New South Wales with almost 400 of Surf Life Saving’s most outstanding lifesavers, athletes, educators, coaches, and administrators from around the state gathering at Dockside, Cockle Bay to celebrate the season that was. Sydney’s Dockside at Cockle Bay Wharf was the venue for the 2018 SLSNSW Awards of Excellence on Saturday August 25th where 26 surf lifesavers were the recipients of their service in the community. Volunteers are recognised for their efforts in the sport, member services, education, and lifesaving categories. 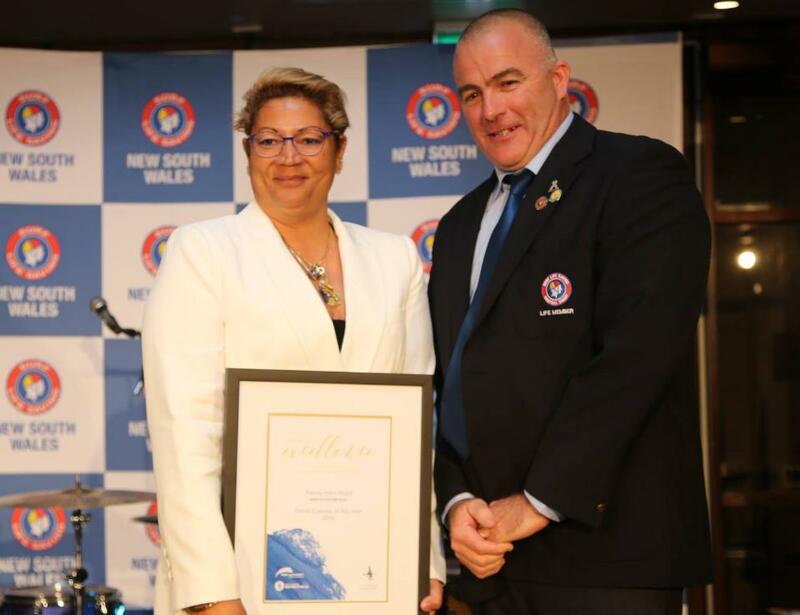 The award categories recognised at surf life saving NSW reflect the core activities undertaken by members. With almost 400 guests the evening is a chance for the lifesaving community from all eleven branches to come together and build on the friendships that are such an integral part of the movement. “It’s a fantastic night for the membership, and an opportunity to formally celebrate what was a wonderful 2017/18 season for our surf lifesavers both on and off the beach, ” enthused SLSNSW CEO Steven Pearce. “As an organisation we are extremely fortunate to have such talented members and people who are whole heartedly committed to giving back to their community. “This is reflected in not only the outstanding list of finalists who we will acknowledge tomorrow night but in the efforts of every single one of our 70,000 members who sign on each summer who do such a wonderful job,” said Mr Pearce. The BIG news for Pittwater is that Avalon Beach SLSC has been named Club of the Year. Club of the Year* - This award recognises and rewards outstanding achievements in club development that results in Surf Life Saving clubs in Australia providing safer beach and aquatic environments for the community. 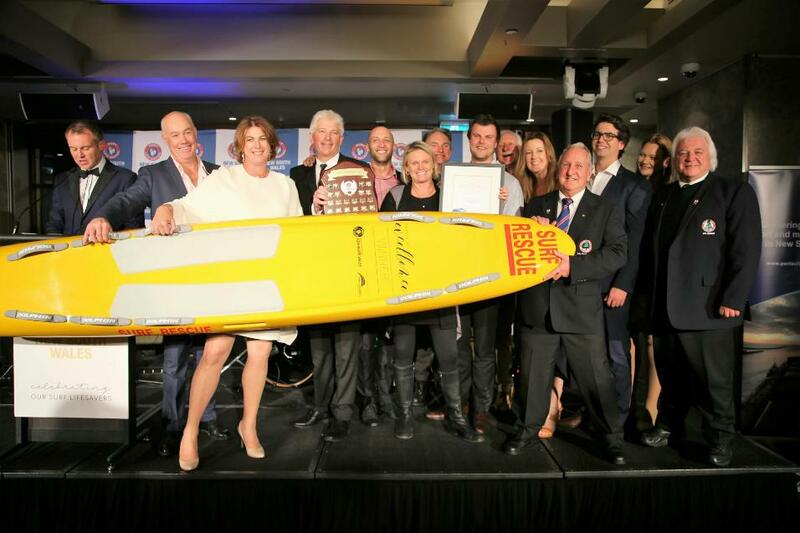 "Avalon Beach SLSC are very proud to have won the 2018 SLSNSW Club of the Year. This award is recognition is for all members, in particular the Board of Management and Club Officers, who have come together over the past year and worked incredibly hard to implement our strategic plan and One Club policy. The award recognises the Club's important role in the community which goes above and beyond lifesaving, taking a leadership role in important local issues such as youth mental health." Richard Cole said Sunday morning, August 26th. 'This year we again achieved our primary mission with no lives lost at Avalon Beach during patrol hours. We had 32 rescues, 23 first aid treatments (which seems a bit low) and 365 preventative measures. We completed the highest ever total number of patrol hours (8787, compared to last year’s 6495). By any measure, that is a lot of hours spent by our volunteer members keeping our beach safe. We had the highest ever number of active and youth members and trained more Bronze Medallions and SRCs than ever before. We had the most successful Nippers team ever at the SLSNSW Championships and the largest and most successful surf boat team ever at Branch, ASRL, SLSNSW and Aussies including two gold medals. We also had our highest ever annual revenue, making over $500,000 for the first time and a near record profit. I am pleased to report that the Club is in great shape. there is a terrific momentum and spirit to all their endeavours. Our small but dedicated Masters team also had a solid year with some inspiring new members such as Ashley Brown who will hopefully draw in more new talent. Our IRB competition team developed some new rookie teams and concluded the season with a State gold medal in the 45+ teams. We ran some wonderful community events including the Lion Island Challenge, Carols at the Beach and our Surf and Around the Bends Swims. Our first ever Gala Day was a tremendous success which really brought the Club together. This is something that we can all be proud of: we have a One Club policy at Avalon Beach and I believe this is evident in everything we do. It is wonderful to see all the sections of our Club supporting each other and being stronger as a result. It is terrific to see the Club being in a position to be able to provide support to other community organisations such as One Eighty and supporting the response to important community issues such as youth emotional health. Surf Lifesaver of the Year* - This award recognises and rewards the outstanding contribution members have made to the delivery and development of surf life saving activities and services to the club, branch and community. Congratulations to Matt Slattery of North Avoca SLSC, the 2018 Port Authority Surf Lifesaver of the Year. Volunteer of the Year* - This award recognises and rewards members who have assisted in managing and or developing a Surf Life Saving club and or service and whose contribution demonstrably enhances the development of surf life saving. Congratulations to Cathy Cole of Terrigal Surf Life Saving Club, the 2018 Volunteer of the Year. - This month Cathy's family will celebrate 100 years service to Surf Life Saving. An incredible and unique generational achievement. Lifeguard of the Year* - This award recognises and rewards Australian Lifeguard Service employees who have made an outstanding contribution to the delivery and development of lifeguard services. Congratulations to James Turnham, the 2018 Lifeguard of the Year. Trainer of the Year* - This award recognises and rewards trainers who have made a significant contribution towards the area of education and awards within surf lifesaving. Congratulations Paul Ellem of Evans Head-Casino SLSC, the 2018 Trainer of the Year. Assessor of the Year* - This award recognises and rewards assessors who have made a significant contribution towards the area of education and awards within surf lifesaving. Congratulations Paul Hotton of North Bondi SLSC, the 2018 Assessor of the Year. Surf Sports Official of the Year* - This award recognises and rewards officials who have made a significant contribution to the area of officiating within surf lifesaving with regards to both the commitment shown to officiating over the calendar year and their contribution towards official’s educational development. Congratulations Jenny Kenny of Cudgen Headland SLSC the 2018 Official of the Year. Surf Sports Coach of the Year* - This award recognises and rewards coaches who have made a significant contribution towards the area of coaching within surf lifesaving with regards to both athlete/s performance and the area of coach educational development. Congratulations Jim Walker North Bondi SLSC the 2018 Coach of the Year. Surf Sports Athlete of the Year* - This award recognises and rewards athletes who have demonstrated sporting excellence as well as contributed to the area of surf sports within surf lifesaving. Congratulations Kendrick Louis of Manly LSC, the 2018 Athlete of the Year. Masters Athlete of the Year - The purpose of this award is to recognise and reward masters athletes who have demonstrated sporting excellence as well as contributed to the area of surf sports within surf lifesaving. Congratulations Laura Thurtell of Bondi Surf Club the 2018 Masters Athlete of the Year. Young Athlete of the Year - The purpose of this award is to recognise and reward athletes under the age of 19 who have demonstrated sporting excellence as well as contributed to the area of surf sports within surf lifesaving. Congratulations Jemma Smith Umina Surf Life Saving Club the 2018 Youth Athlete of the Year. Team of the Year - This award recognises the outstanding achievements made by a team in respect to Surf Life Saving performances at any level of the organisation(club/branch/state/national/international). Note that SLSNSW employees are not eligible for this award). Teams may include (but are not limited to) surf sports teams, lifesaving teams, support services teams, development teams, management as well as education and training teams. Congratulations Open Female R&R Team from Freshwater SLSC the 2018 Surf Sports Team of the Year. Initiative of the Year - This award recognises a new initiative developed and delivered by a group or individual at club, branch or state level (note that SLSNSW employees are not eligible for this award). This initiative can be related to any area of SLS including (but not limited to) surf sports, lifesaving, member services, community education, fundraising or education and training. Congratulations to the 'Honouring Our First Female Lifesavers' from Terrigal Surf Life Saving Club, the 2018 Initiative of the Year. 'Honouring our First Female Lifesavers' that patrolled Terrigal beach during World War 2 was an event held on November 22, 2017, 11am at Terrigal Surf Club. During WWII many women filled patrols on beaches depleted of male lifesavers serving in the conflict. They could not, however, be members of surf lifesaving nor receive a bronze. At the event the women finally received their Bronze Medallions, earned over 70 years ago, and a variety of tokens to show Surf Life Savings gratitude for their contributions. The Clubhouse event was for the 7 women who are still with us, aged in their early to mid 90's, and the families of those women who have passed away to celebrate the courage, strength and spirit of these amazing ladies. "These Terrigal women were, truly, ahead of their time and we hope you can enjoy our celebration of them with us." Terrigal SLSC stated. Facilitator of the Year - This award recognises ongoing delivery of consistently high quality training and assessment that adheres to SLSNSW guidelines. Congratulations Mike Le Geyt of South Curl Curl SLSC, the 2018 Facilitator of the Year. Mike also won the SLS Sydney Northern Beaches Branch Award for Facilitator this year. ''Given the calibre of the education team at Branch and, on the back of being awarded Branch Trainer of the Year the previous season, this was totally unexpected,'' Mike said then. "We are very fortunate to have a really strong, engaged and supportive education team across the Branch. Mike joined South Curl Curl when his eldest son Sam joined nippers. Sam is a former Branch Junior Lifesaver of the year. He does patrols, along with his mum Jodi and younger brother Alex. Mike's wife Jodi is also a Trainer and trained the SRC squad at South Curly last season. Administrator of the Year - This award recognises and rewards members who have demonstrated outstanding service in administration at a Surf Life Saving club, branch or activity throughout the 2009/10 season. This award is for volunteer administration roles only. Congratulations Cheryl McCarthy of Bermagui SLSC, the 2018 Administrator of the Year. Cheryl McCarthy has certainly thrown herself into the movement, and in process has given a little, and changed a lot. The Bermagui SLSC secretary has been heavily involved in her club and at branch level helping out wherever she can, and throughout her time involved within surf lifesaving has always demonstrated a passionate desire to improve her own skills. Although they are one of the smallest clubs in NSW, Bermagui are about innovation and embracing their local community. The club capped off a stunning turnaround in 2017 when they were named Club of the Year at the Awards of Excellence and as a member of their executive, Cheryl was just one of many who played their part. For McCarthy, volunteering is an important part of her identity. “Our little town has been so good to me, so welcoming and it feels good to be able to give something back. Every community relies on volunteers but I think in small towns the impact is even more pronounced. We have only 1,600 people in Bermagui so it’s important to have as many people as possible pitch in. “In a small town many organisations simply wouldn’t exist without volunteers. Having a range of activities available where you live creates energy and opportunity for everyone. “Surf lifesaving is a fantastic way to introduce our young kids to volunteering. It provides a safe and fun way to get kids involved and to show them that every little bit helps. Just offering to carry something for someone, or clean something down, is a way of making a difference and it’s important for us to instil this spirit as early as possible so volunteering to help, even in a very small way, just becomes natural,” McCarthy said. Go to any surf club in Australia and you will find members pitching in doing whatever they can to help out their club. It’s not unique to the movement, but few organisations can match the sheer diversity of areas that are available for the members to try. You can be a patrolling member and drive some of the most advanced rescue equipment on the planet, you can become a teacher, a mentor or a leader. The possibilities are endless. For Cheryl it’s about identifying your own skill-set and having the courage to put yourself out there. “When I moved to Bermagui it seemed natural in a beach town to get involved in the surf club. Once I got started I realised that I had some skills that could be of use. “That’s another special part of volunteering, you can choose to do tasks or jobs completely different from your normal day-to-day work to build experience or you can choose to use those skills you already possess to help out in a meaningful way. It’s your choice and I believe it helps inspire people to give more when they’re involved because they choose to be,” she said. Despite her own lifesaving journey being only in its infancy, Cheryl McCarthy is rapidly building up a memory bank of amazing moments. She cites her work with the Same Waves program which allows people living with a disability to participate in water activities in a safe environment while giving their parents and siblings a break to enjoy the beach as one of the true highlights. “We had two new brothers doing their first Same Wave session. After some initial hesitation at leaving the boys with the team, their Dad went for a walk. When he came back he had a coffee in his hand and tears in his eyes. “It was clearly an emotional moment for him but it brought tears to my eyes too as it brought home just what an incredible impact simple acts of giving your time and energy can make to others,” she said. Branch of the Year - This award recognises the outstanding achievements and operations by an affiliated SLSNSW branch. By recognising branch initiatives and best practice, this award will reward not only branch but the clubs and their members. In April 2018 the Tathra bushfires saw surf lifesavers doing all they could to assist their community. From the first responders who assisted with the evacuation effort, to continuing to manage a makeshift disaster recovery centre, the team from Tathra SLSC have been an enormous support to the community as they attempt to return to normal. Tathra Club Captain Justin Gouvernet says it highlights the unique capability of Surf Life Saving to deal with emergency situations and act as the backbone of small communities when tragedies strike. The small Far South Coast hamlet is no stranger to dealing with tragedy. In 2008 the community was rocked by the deaths of Shane O’Neill and his two infant sons in a fishing accident off Tathra Wharf and again in 2014 when Christine Armstrong was taken by a shark while swimming in the bay. In the early hours of Sunday afternoon, 18 March, the Tathra surf club members were finishing their rostered patrol. Winds were gale force from the north west and there was a plume of smoke coming from that direction. The fire jumped the Bega River 1.5km from Tathra, setting houses on fire as it tore towards the town. “It came in a straight line towards us, really fast. The emergency services had bugger all time to warn people,” said Justin. The callout teams from the Tathra and Pambula surf clubs were contacted to help with evacuations. A number of IRBs and a jet ski headed up the river in case people needed to be rescued via water. Bermagui surf club became a makeshift evacuation centre to offer support to evacuated Tathra residents. People soon began arriving at the beach to take refuge, but the thick smoke made the situation extremely difficult. Police and the RFS were telling residents to leave town and head to Bega and Bermagui. While Justin remained to protect his home, in the lead up to the evacuation he was amazed looking down from his balcony to see people still playing lawn bowls at the club below as the fire raced towards town. By Monday morning mop up operations began and the town was empty except for emergency services, damage assessors and news reporters. Most residents were in Bega waiting for the all clear to return. On Wednesday residents began arriving and a handful of club members swung into action, setting up the club as a recovery centre, accepting donated food and providing a venue for recovery services workers. Donations of food and clothing began to flood in. The club’s young IRB captain, Max Harris, took on the job of coordinator and as people began returning to town, they headed to the surf club to access food and other services from disaster welfare groups who were stationed there including St Vincent de Paul, Disaster Welfare, Red Cross, Salvation Army and Anglicare. The role the club and its members performed during the emergency and continues to play, shows the value of Surf Life Saving, particularly in small coastal towns. “Everybody pulled together and this is where the surf club worked so well. We had the cooking facilities, storage for food and equipment, including being able to store things like chainsaws, rakes and hoes in the boatshed and we had space for people to camp on the floor. “Surf Lifesavers are also organised, competent and fit people who cope well in a crisis. As volunteers we want to contribute,” said Justin. Amazingly, while a number of club members were personally impacted by the fire and lost or sustained damage to their own homes, patrols on the beach continued as usual the following weekend as well as competitors attending the Branch Senior and Nipper carnivals at Pambula Beach. Junior Lifesavers of the Year - This award is designed to recognise and reward younger members for their outstanding contribution to the club, branch and community and for the initiative and leadership skills they have displayed throughout their surf lifesaving careers. Congratulations Oscar Crowe of MacMasters Beach SLSC and Sophie Burns of Elouera SLSC the 2018 Junior Lifesavers of the Year. In April 2018 Sophie Burns (Elouera SLSC) and Oscar Crowe (MacMasters Beach SLSC) were awarded the prestigious prize after impressing the judging panel during this week’s development program at the Collaroy Learning Centre on Sydney’s Northern Beaches. The duo were among the twenty-two finalists from the eleven branches in NSW invited to take part in the annual leadership and development program which brings together outstanding young surf lifesavers in their final year of Nippers. “I feel really proud to have this honour because it means I am representing as a youth leader all junior lifesavers in NSW and all the Nippers as well,” Sophie Burns said shortly after her win. The Elouera teenager who has been involved in surf lifesaving since she was 6-years-old has come a long way since those early beach days where her parents had to drag her to Nippers kicking and screaming. “I’m so glad I stuck with it as it’s been so worthwhile. My goal now is to give youth a voice. I would like to make them known and to speak out and have their opinions heard,” she said. Oscar Crowe has been involved in the movement since he was in the Under 6 Age Group, and believes lifesaving has had a positive impact on his life. “It’s given me a way to help the community and I have met so many friends through it including at this week’s development program,” he said. The Central Coast teenager has already set his sight on his next dream within surf lifesaving. Young Lifesaver of the Year - This award recognises and rewards patrolling members who have made an outstanding contribution to the delivery and development of surf life saving. It is aimed at members who represent the culture and core values of surf life saving. Matthew Calbert of Ocean Beach SLSC, was named the 2018 Young Lifesaver of the Year. Matthew has been involved in surf lifesaving since a Nipper and has also been part of the annual Lifesaving Exchange Program with some of New Zealand’s finest lifeguards. Matthew has held the positions of vice patrol captain and the first aid officer. "I am so passionate about Surf Life Saving and want to keep moving forward in the movement. Future goals include obtaining my RWC operators certificate, becoming a duty officer, becoming a drone operator, getting involved with Surf Rescue 30 and keep on enjoying every bit of it." he said last year. Rescue of the Year - This award is issued to recognise the most significant rescue effort made by an individual or group. The 2018 SLS NSW Awards of Excellence recognition went to Far South Coast Broulee Surfers, Moruya & Batemans Bay SLSCs. The determined effort of this group of Far South Coast surf lifesavers to go to the aid of a capsized vessel at Moruya was recognised with the National Rescue of the Month Award for March 2018. Surf lifesavers from across Australia gathered at Parliament House in the nation’s capital in June for the quarterly presentation that honours the outstanding efforts of those who proudly wear the red and yellow. The award was presented to the Far South Coast Support Operations crew (consisting of members from Broulee Surfers and Batemans Bay SLSCs), an important lifesaving asset in the region, and to Moruya SLSC which provided support and lifesaving assets. Accepting the award for their efforts to help rescue six people were surf lifesavers Ben Ralston, Shaun Pike, Andrew Edmunds, former NRL player Michael Weyman and the father-son trio of Anthony, Ken, and Mick Bellette. This was a highly skilled callout team with many years of experience and rescues under their belt, which was extremely fortunate as this incident demanded all of their skills. The incident unfolded shortly before 7am on 24 March after a small vessel capsized while trying to negotiate the notorious Moruya River bar in challenging conditions. The Far South Coast Support Operations team and Moruya SLSC were the closest surf lifesaving assets to the incident and unsure of what they would face, they responded in a jetski and Inflatable Rescue Boat (IRB) after learning that there were multiple people in the water. Local fishing boats witnessed the incident and had pulled two people from the water prior to the arrival of the lifesavers, who quickly went to work assessing the situation. One of those rescued identified himself to the lifesavers as the father of a teenager who was missing. There were immediate concerns for the teen’s welfare as it was thought she could have been trapped under the hull. The lifesavers made an attempt to right the vessel but were unable to do so. The rescued patients were ferried to shore by jetski, IRB and a Marine Rescue vessel with the lifesavers making multiple trips and providing initial first aid treatment. A short time later the missing girl was located and pulled from the water. CPR treatment was administered while the IRB raced to shore where paramedics were waiting. Unfortunately, despite the best efforts of everyone involved in the rescue, the young girl was unable to be revived. Andrew Edmunds, who operated the jetski that day, said it was a humbling, but bittersweet experience to receive the award. “Nobody gets into Surf Life Saving for the awards or for the recognition, and it was not something any of us sought. “This was an awful incident with a terrible outcome and I would like to say that our thoughts remain with the family,” said Andrew Edmunds. Mr Edmunds also praised the efforts of all the responders who he said played an important role in keeping the situation under control. “The members of the public, the paramedics, police, and everyone involved did an amazing job and deserve recognition for their role. These rescues do not happen in isolation. “I think what this rescue highlights is the skills and training we receive as surf lifesavers and just how important it is for us to maintain this knowledge no matter where we patrol,” he said. SLSNSW CEO Steven Pearce echoed the sentiments. “The surf lifesavers involved showed great strength and courage in the face of this very sad incident, displaying an admirable sense of duty and compassion. “Had they not reacted so quickly we could have been talking about an even bigger tragedy, and the fact we aren’t is a great credit to the individuals involved,” said Mr Pearce. The awards marked with an * are recognised at both state and national levels. Those awards not marked are recognised at state level only. The 2018 SLSNSW Awards of Excellence is proudly supported by Port Authority of NSW. Official of the Year - Congratulations Jenny Kenny of Cudgen Headland SLSC the 2018 Official of the Year. Masters Athlete of the Year - Congratulations Laura Thurtell of Bondi Surf Club the 2018 Masters Athlete of the Year. Coach of the Year - Congratulations Jim Walker North Bondi SLSC the 2018 Coach of the Year. Youth Athlete of the Year (U/19) - Congratulations Jemma Smith Umina Surf Life Saving Club the 2018 Youth Athlete of the Year. Surf Sports Team of the Year - Congratulations Open Female R&R Team from Freshwater SLSC the 2018 Surf Sports Team of the Year. Athlete of the Year - Congratulations Kendrick Louis of Manly LSC, the 2018 Athlete of the Year. Administrator of the Year - Congratulations Cheryl McCarthy of Bermagui SLSC, the 2018 Administrator of the Year. Services Team of the Year - Congratulations Tathra, Bermagui and Pambula SLSCs Call Out Teams, the 2018 Services Team of the Year. Young Volunteer of the Year (U/19) - Congratulations Tegan Robertson of Bellambi Surf Club the 2018 Young Volunteer of the Year. Junior Lifesavers of the Year (U/14) - Congratulations Oscar Crowe of MacMasters Beach SLSC and Sophie Burns of Elouera SLSC the 2018 Junior Lifesavers of the Year. Initiative of the Year - Congratulations to the 'Honouring Our First Female Lifesavers' from Terrigal Surf Life Saving Club, the 2018 Initiative of the Year. Trainer of the Year - Congratulations Paul Ellem of Evans Head-Casino SLSC, the 2018 Trainer of the Year. Assessor of the Year - Congratulations Paul Hotton of North Bondi SLSC, the 2018 Assessor of the Year. Facilitator of the Year - Congratulations Mike Le Geyt of South Curl Curl SLSC, the 2018 Facilitator of the Year. Community Education Program of the Year - Congratulations Broulee Canberra Nippers from the Broulee Surfers SLSC, the 2018 Community Education Program of the Year. Patrol Captain of the Year - Congratulations to Tracey Hare-Boyd of North Steyne S.L.S.C, the 2018 Patrol Captain of the Year. Patrol Team of the Year - Congratulations to Patrol One at Umina Beach SLSC, the 2018 Patrol of the Year. Young Lifesaver the Year (U/19) - Congratulations to Matthew Calbert of Ocean Beach SLSC, the 2018 Young Lifesaver of the Year. Lifeguard of the Year - Congratulations to James Turnham, the 2018 Lifeguard of the Year. Rescue of the Year - Congratulation to Far South Coast Broulee Surfers, Moruya & Batemans Bay SLSCs, the 2018 Rescue of the Year. Club of the Year - Congratulations to Avalon Beach SLSC, the 2018 Club of the Year. Volunteer of the Year - Congratulations to Cathy Cole of Terrigal Surf Life Saving Club, the 2018 Volunteer of the Year. - This month Cathy's family will celebrate 100 years service to Surf Life Saving. An incredible and unique generational achievement. Surf Lifesaver of the Year - Congratulations to Matt Slattery of North Avoca SLSC, the 2018 Port Authority Surf Lifesaver of the Year.